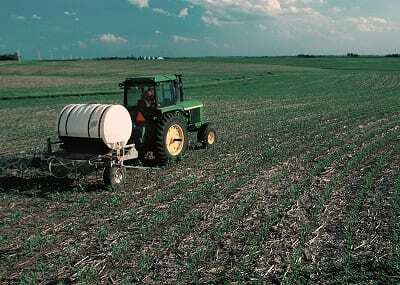 The waste generated by renewable gas production can be transformed into fertilizer. Andrew White, a Canadian chemical engineer, has developed a product that he calls the SulfaCHAR system, which can convert the waste that results from producing biogas into fertilizer. According to White, his SulfaChar system removes chemical waste from the biogas process, which stops gas engines from becoming ruined by hydrogen sulfide (H2S), and also boosts a renewable gas facility’s profitability, reported Reuters. The decomposition process of the clean gas produces not so clean waste. While biogas can help generate energy or be used to replace natural gas, and is often said to be a carbon-neutral and clean alternative to fossil fuels, the fact remains that its decomposition process produces carbon dioxide, among other foul smelling gasses that results in a yearly worldwide cleanup cost of more than $1 billion. White states that one of the biggest benefits of biogas is that it captures methane, preventing it from dispersing into the atmosphere. White says that methane in the atmosphere is 22 times worse than carbon dioxide for global warming. According to the EPA, methane is the second most common greenhouse gas emitted in the U.S. from human activities. White developed the SulfaCHAR to help solve the biogas waste problem. With his system, White has devised a zero-waste cleaning solution. He says that the system is unique, because one of the features of the process is it catalytically transforms sulfide into sulphur, which is a fertilizer product. Since the feedstock is being made out of a fiber that is nearly a compost when the system is finished with it, all that remains is a carbon compost that is already in the fertilizer form, so no reprocessing is required. White explained that as soon as the compost is removed from the tanks where it has been utilized for gas cleaning, it can be directly applied to the fields. The product can be used in large-scale animal farming, wastewater treatment plants, municipal landfills, and anaerobic digesters. According to White, SulfaCHAR is the only product that effectively makes a fertilizer supplement out of hydrogen sulfide, instead of waste that needs disposal. This product helps to make biogas even cleaner. Unfortunately this article doesn’t say whether this is a theoretical process or if a working model exists. As far as I can determine, this is nothing more than an attempt at PR by the SulfaChar system’s inventor.